In 1968 photographer Claire Aho participated in a Nordic photography exhibition in Kiel, Germany with her images of Helsinki. These photographs, which feature surprising compositions and offer fascinating depictions of the era, are now being exhibited in Finland for the first time. Claire Aho, born 1925 in Helsinki and now living in Stockholm, is the "Grand Old Lady of Finnish Photography" with a huge amount of portraits, posters, fashion plates and artistic photos. She began her career as a photographer in the 1940s and became a pioneer in Finnish colour photography. Her wide portfolio also includes magazines, advertisements and book covers. She is especially well known for her colourful portraits. 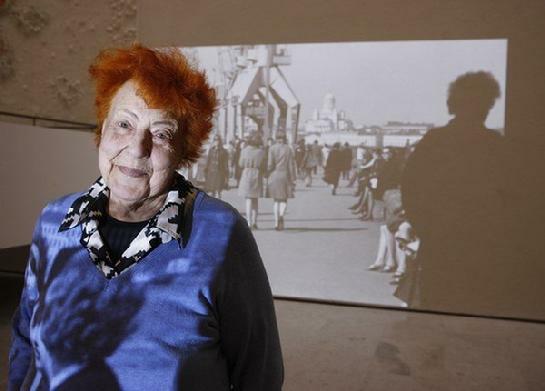 She has also made documentary films, including one about the Summer Olympics in Helsinki in 1952. She is also a pioneer of Finnish documentary film like her father Heikki Aho and her uncle Björn Soldan. Claire Aho is the granddaughter of author Juhani Aho (earlier Brofeldt) and Venny Soldan-Brofeldt (1863– 1945), one of the leading women painters of her time. Juhani Aho (1861–1921) was a journalist and the first Finnish professional writer, best known Finnish author in Scandinavia in his own time, who specialized in short stories called ”lastuja” (splinters). Although Juhani Aho chose his subjects from Finnish folk life, his works were far from provincial. They reflected consciously modern literary movements, especially realism, which is seen in his first novel Rautatie (Railway) from the year 1884. Aho also translated to Finnish such writers as Kielland, Daudet, Lagerlöf, Hugo, and Maeterlinck. At the beginning of June 2010 Virka Gallery opened to the public an exhibition of black and white photographs taken by Claire Aho in 1968. 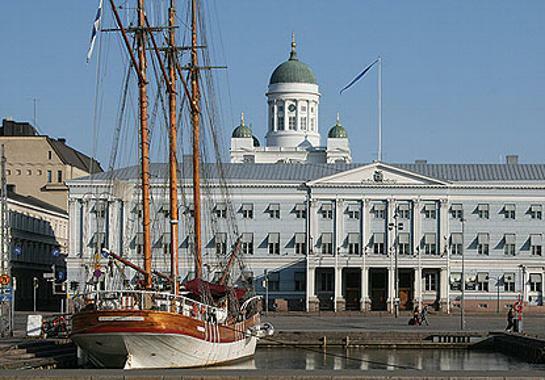 The subject matter of the photos is Helsinki. These pictures were exhibited to the public for the first time since 1968. 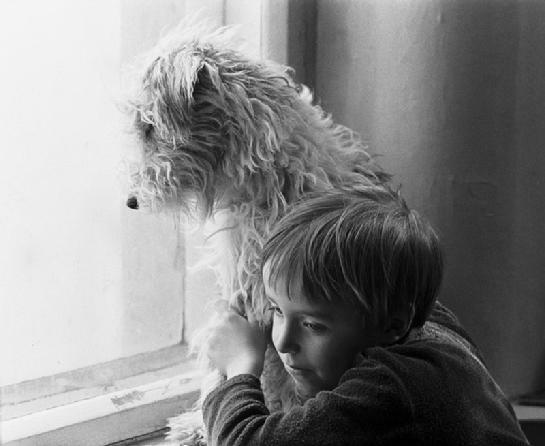 Claire Aho had a few weeks in 1968 to photograph her then-hometown of Helsinki. She had been invited to participate in an exhibition entitled “Four Nordic Capitals” that was to be held in Kiel, Germany. In the spring of 1968 Finland was a peaceful and calm place to live as usual. The third period of President Kekkonen was just starting. At the same time, there was a lot of political movement going on elsewhere; violent student disturbances occurred in Paris, in Czechoslovakia blew new winds – the country was in the process of a period of political liberalization called The Prague Spring. In April in Memphis Tennessee Martin Luther King Jr. the famous civil rights activist was murdered. The photographs of Claire Aho show not a slightest clue about the confusion of the world. Aho’s camera lens captured images of ordinary people thriving in Everyday Life; daredevils riding a twirling carousel, market vendors attending their stalls, cadets flirting in the Market Square and children playing by the front steps of their homes. The photographs relate the story of Helsinki over 40 years ago. They offer a nostalgic journey through time and reveal how rapidly the city has changed. Some of the photographs are timeless portraits that are characterised by a sense of surprise and warmth. Rakastuneita pareja vappuna, huimapäitä karusellin pyörityksessä ja torimyyjiä pöytiensä ääressä; valokuvaaja Claire Aho osallistui Helsinki-aiheisella valokuvasarjalla pohjoismaiseen yhteisnäyttelyyn Saksan Kielissä vuonna 1968. Sommittelultaan yllättävät ja ajankuvaltaan kiehtovat valokuvat ovat nyt ensimmäistä kertaa esillä Suomessa. Näyttely on osa laajempaa tapahtumakokonaisuutta, joka liittyy tulevaan Aho&Soldan juhlavuoteen. Claire Aho (s.1925) on Juhani Ahon ja Venny Soldan-Brofeldtin pojantytär. Nykyisin Tukholmassa eläkepäiviään viettävällä Claire Aholla, suomalaisen valokuvauksen ”Grand Old Ladyllä”, oli vuonna 1968 muutamia viikkoja aikaa kuvata silloista kotikaupunkiaan Helsinkiä. Hän oli saanut kutsun osallistua Saksan Kielissä järjestettävään ”Neljä Pohjoismaista pääkaupunkia” -näyttelyyn. Ahon kameraan tallentui muun muassa huimapäitä karusellin pyörityksessä, torimyyjiä pöytiensä ääressä, flirttailevia kadetteja Kauppatorilla, lapsia leikkimässä kotirappunsa luona sekä nuoria rakastuneita pareja. Claire Aho kuvasi mielellään hänelle läheisiä ihmisiä, kuten omaa poikaansa ystäviensä tai koiransa kanssa.